I am a bib fiend. I have so many different types (Chris tells me that we need to get rid of most of them!) so when Dribblies contacted me asking if I'd like to review one of their bibs, I jumped at the chance. Dribblies specialise in baby products that are created with health & safety, convenience and affordability in mind. They currently sell Catch-All Spills Roll Bibs in four different colours; blueberry blue, apple green, mellow yellow and hot pink. I was able to select my own colour and opted for apple green - my favourite colour! 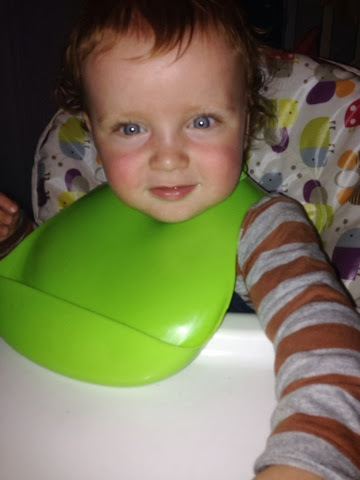 The bib fits really comfortably around his neck and has a fab lip to safely catch any food that your child may drop. It's really easy to fasten with a simple pop of a button. C, however, was able to take the bib off himself two occasions. 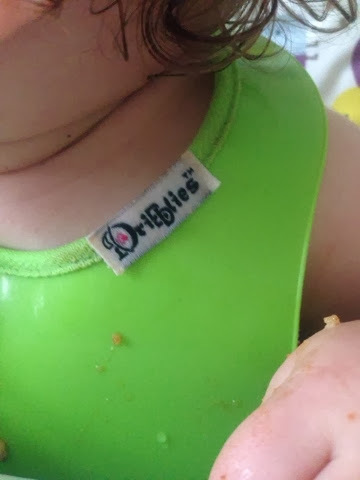 The bib itself is plastic so it is very easily wiped clean. 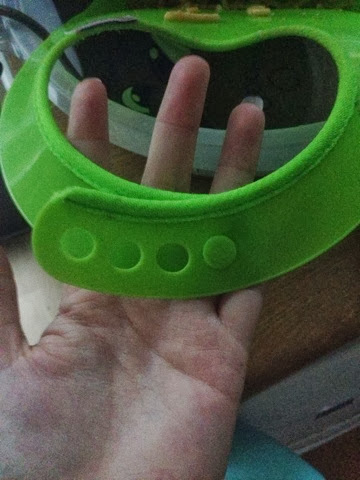 There is a fabric rim around the neck so it doesn't irritate your child's skin which I think is an absolutely brilliant idea! It even wipes clean too. I would definitely recommend this bib to any weaning mummies and daddies and for a fantastic price of £3.50, you really can't go wrong. I would maybe like to are a few more colours available or maybe designs. You can find Dribblies at their website, Facebook and Twitter.